The last nail art that I blogged about on munch and makeup was the strawberry and watermelon nail art. 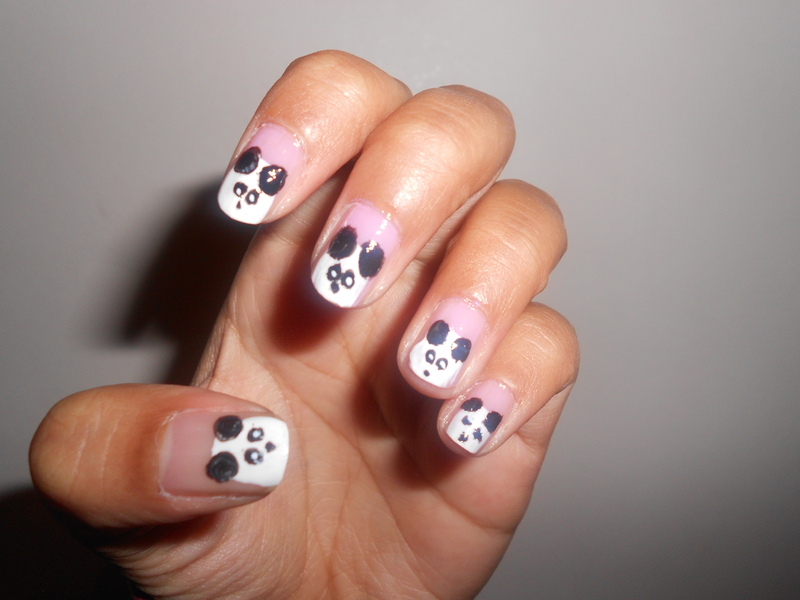 I wanted to try painting pandas on my nails (who doesn’t like pandas?!) and especially bought some white nail polish to do so. The nail polishes that I used were No.7 stay perfect clear base/finishing polish, Missguided misbehave pink, Sinful confession white and Models own nail art pen. 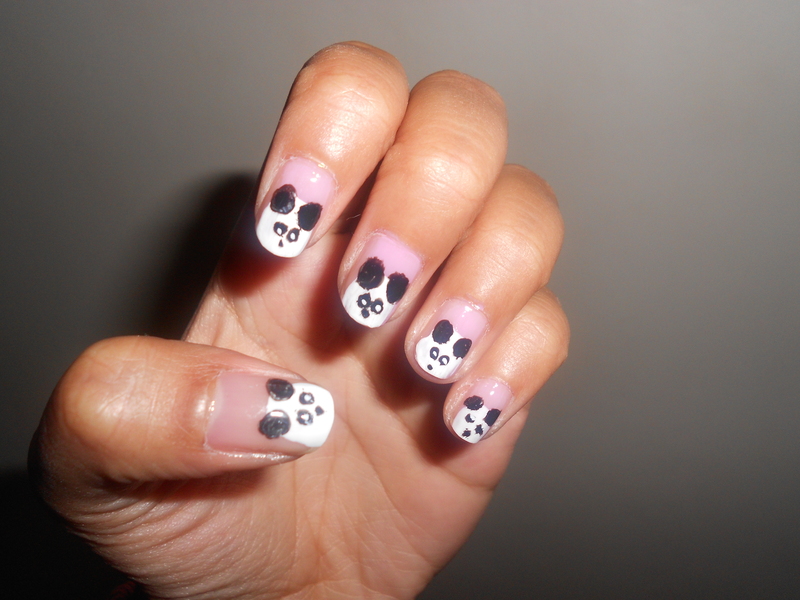 Unfortunately the nib of my Models own nail art pen decided to stop working after the first panda that I did on my thumb, so I had to use the brush instead – hence the pandas look a bit furry! I started off by painting their white faces, once dried; I then painted their black ears, black eyes and noses. Once they dried I put tiny white dots on their eyes to make their eyeballs, finishing off with a layer of clear nail polish. I also used a light pink colour as the background, which I avoided at the beginning as I thought I might need to do a lot of correcting, but the pandas were actually quite easy to do!